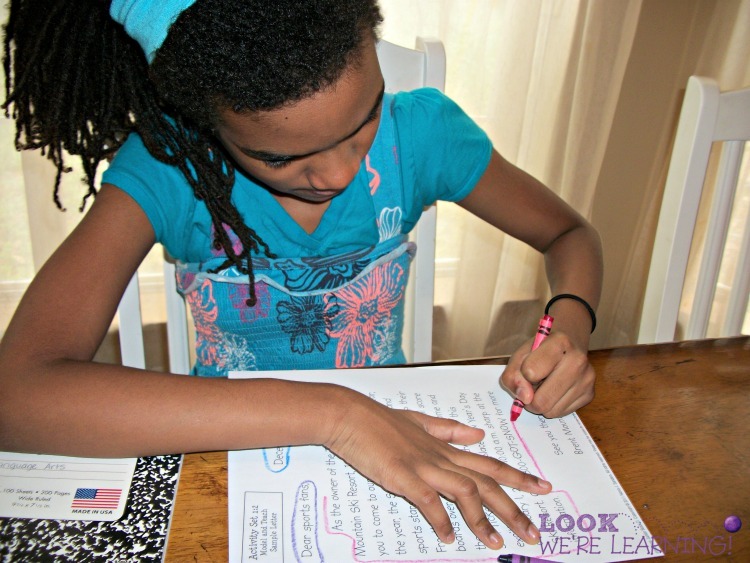 Writeshop Junior Review - Look! We're Learning! 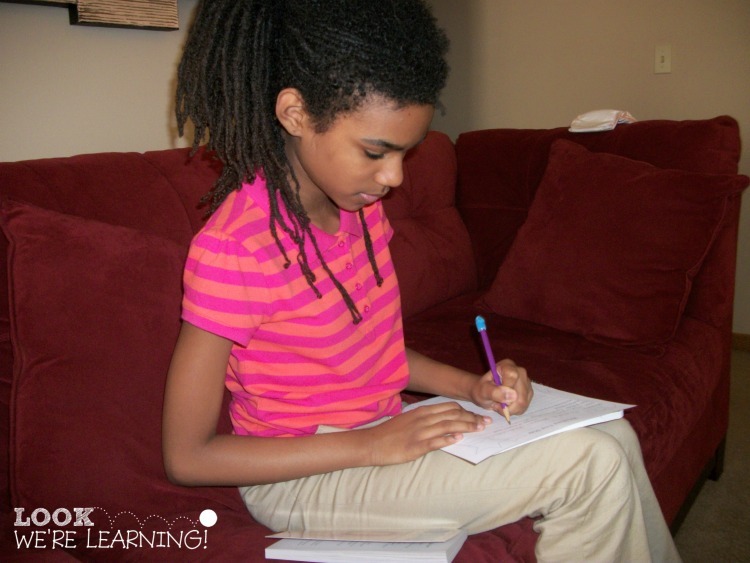 So I was thrilled when we got a chance to try the homeschool writing program: Writeshop Junior! It’s a comprehensive creative writing program for upper elementary kids! Check out our Writeshop Junior review to see how the program helped us make creative writing fun! One of my favorite things about the WriteShop curriculum is that literally everything is explained for you. 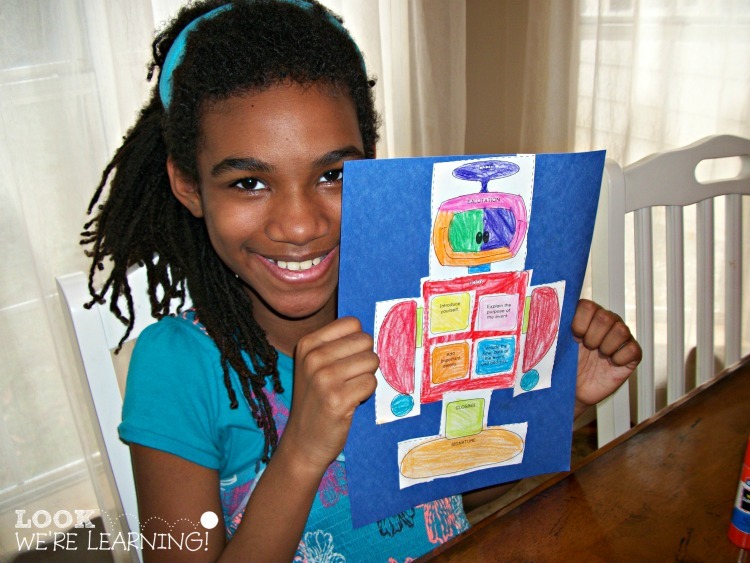 What to print, how to assemble it, and how to teach each section. It’s super simple to use. The curriculum has a unique way to introduce the basic concept of writing a letter. 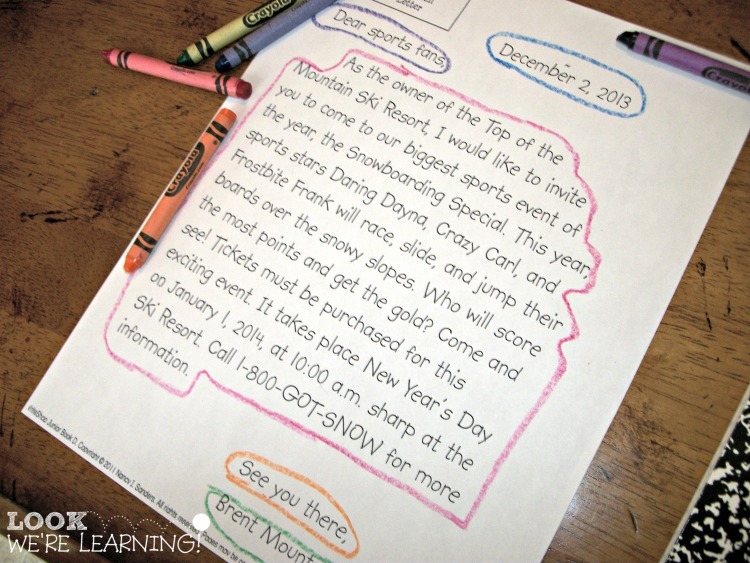 Kids can color code each section of the letter to help them remember the basics: body, date, salutation, closing, and signature. I’ll tell you – there’s no better sound than hearing your child ask, “Can I go and read so I can complete my reading log, Mama?” That’s the sound of a bookworm developing! Another part of WriteShop that both Tigger and I loved was the Grammar Folders. All of the templates (and assembly instructions) are provided for you. And they are a great way for kids to get involved in their own lessons and take responsibility for studying. Whenever Tigger was confused about when to use which quotation mark, she could just consult the folder herself for a quick reminder. The folder templates even come with detachable bookmarks! After a few weeks of introductory work, it was time to actually begin creative writing! Since the program opens with such a gentle introduction to the concept, though, Tigger was ready and not overwhelmed at all! Maria and Julio live in Brazil. They decided to explore the Brazilian rainforest. They packed up and headed for the Amazon jungle first. They got a chance to swing on lots of vines. They packed hammocks for the nights they traveled. As they set them up, Maria pointed out a bat family flying across the night sky. The next morning they headed for the Brazilian rainforest. Julio found a diamond. He put it in his backpack. Maria and Julio also discovered maggots on the ground. They rode a boat down a waterfall. They even picked up a tarantula! They also climbed up a tree and found a sloth! Before they went to sleep that night, they sat up in their hammocks looking at the pictures they’d taken. They both agreed it was the best time they’d ever had! We really enjoyed using WriteShop. 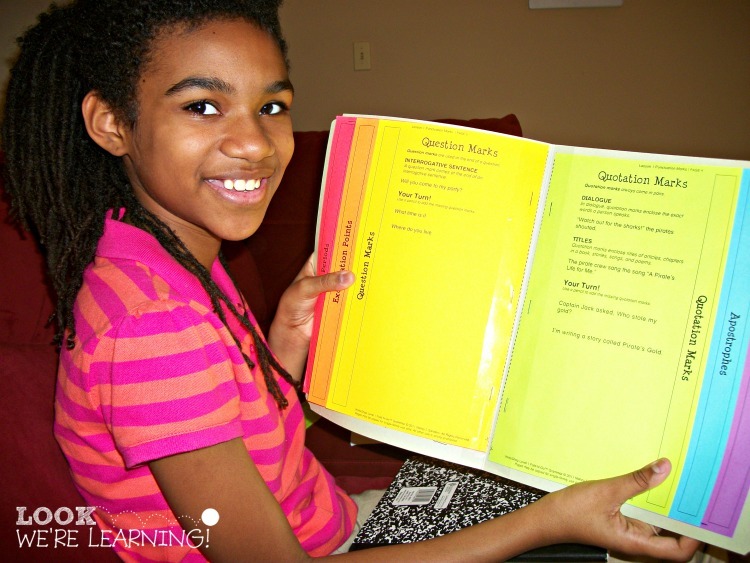 The curriculum is a great way to motivate kids who are reluctant writers to jump in with both feet! Are you on Instagram? Show off your creativity with a photo writing prompt. Use nature, toys, kids, whatever. Or, make a collage like a comic book. Follow WriteShop on Instagram and then share your image with the hashtag #writeshopwriting. Be sure to tag @WriteShop in your photo. Their team will be choosing from your photo writing prompts to share in their social media! And now, it’s time to host the awesome giveaway! 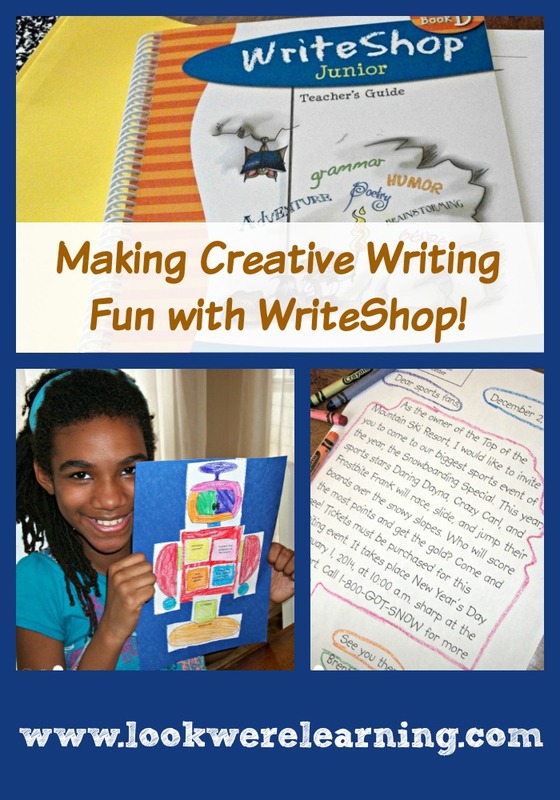 Interested in learning more about how WriteShop can be used in your homeschool? Check out these awesome reviews! I’ve been considering adding WriteShop to our curriculum for next year. 🙂 We would choose Primary Book A.
I love your review! I am planning to add Write Shop, Level C for my 3rd grader next year! We love Write Shop! 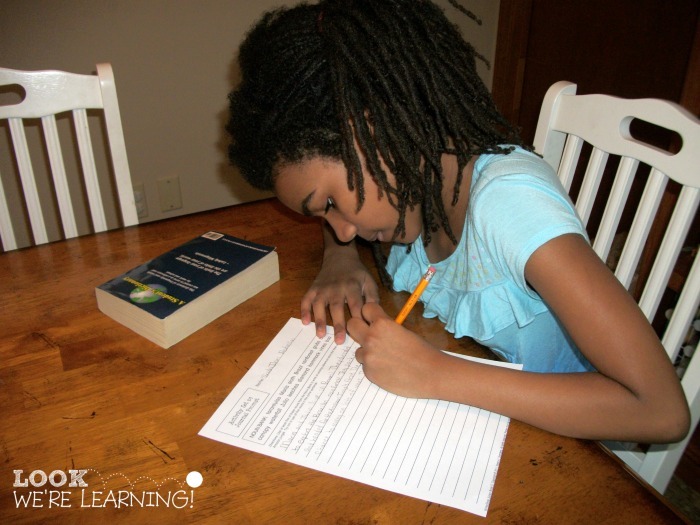 It is great for kids who have trouble focusing on traditional writing programs.